There is something magical about going to a production at a small venue, being so up-close-and-personal with the actors that you literally could touch them. It’s an especially mesmerizing experience for kids, which is just one reason SPARC’S production of Peter and the Starcatcher on its Sara Belle November Educational Theater stage was so entertaining. I had forgotten that the 2004 book the play is based on was written by my all-time favorite newspaper columnist, humorist Dave Berry, whose syndicated column ran in our local newspaper for many years. The pace of the play was crazy-fast, and I can’t imagine there is any way to catch every single one of the pop culture references, puns, and other comical quips in the script in just one viewing (one of the ones that I’ll keep with me includes the words, “and her milkshake brings all the boys to the yard.”). The script reminded me of Looney Tunes in that there is plenty to keep both the kids and adults engaged, but for entirely different reasons. Winner of five Tony Awards, the story, if you’re not familiar, tells us how Peter Pan became, well, Peter Pan, following two ships across stormy seas, one carrying a trunk full of “starstuff” and one carrying a decoy trunk of sand. Precocious 13-year-old Molly and her father are charged with guarding the trunk of precious cargo for the Queen of England, and for safety, Molly’s dad decides they should travel on two different ships. Molly meets three orphans on her ship, one of whom is particularly miserable, has no name, and is later given the name Peter (and much later given the last name Pan). A friendship forms and a thrilling adventure ensues that include mermaids and pirates of course, because what epic tale of ships on the sea shouldn’t include pirates?! The talented cast of twenty-three teens, portraying more than one hundred characters, clearly worked hard to prepare for this production, and they brought their collective A-game to SPARC’s for their audiences’ enjoyment. Cast standouts include (but aren’t limited to … they were all terrific!) high school junior Keely Seward as Molly, who has been participating in SPARC classes and shows since she was a young girl, Darren Lage, a commanding onstage presence as villain pirate Black Stache, and sophomore Owen Buckenmaier as Peter, participating in his seventh SPARC show. Twelfth grader Makai Walker steals the show as Molly’s nanny, Mrs. Bumbrake. The role is traditionally cross-gender cast and makes for many hilarious scenes between he, oops, she, and fellow castmate Aidan Tan as shipmate turned love interest, Alf. 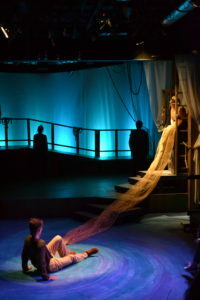 The set design and costuming were perfect for the production, and we especially enjoyed the feast for the eyes that were the mermaid costumes – kudos to Donna Taylor, SPARC’s costume designer for this show! Also props to Mercedes Schaum, scenic designer, lighting designer Steven Koehler, and to SPARC’s director, Brendan Kennedy. The runtime is two hours, with a 15-minutes intermission, with snacks and drinks (both alcoholic and non-alcoholic) for sale. 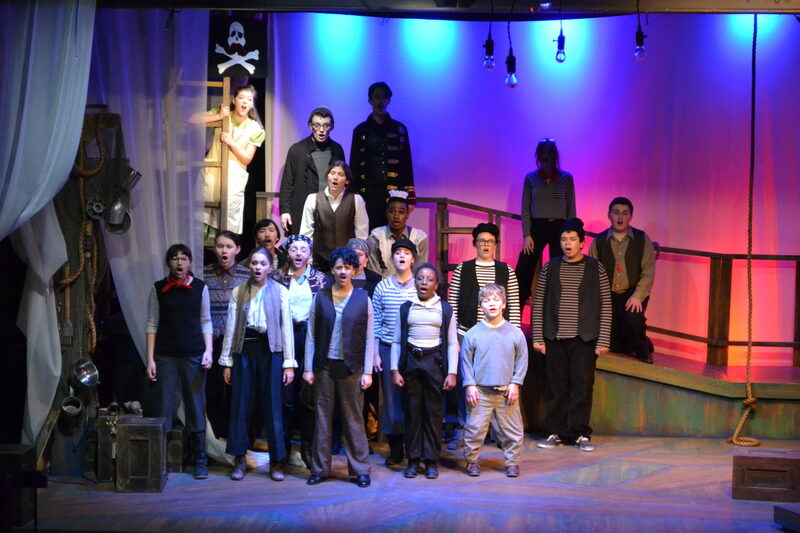 Peter and the Starcatcher continues Friday, November 2 at 7:30 p.m., Saturday, November 3 at 2:00 p.m. and 7:30 p.m., and Sunday, November 4 at 2:00 p.m. To purchase tickets, go here. Margaret Thompson never thought she’d be a business owner (or a mom for that matter! ), but after realizing a need for a high quality, content-focused magazine for Richmond area families, she dove in! Mom of two boys, Margaret and her husband Chris live in Hanover County.